to the new Cable TV regulations imposed by TRAI, which has come into effect starting February 1st, 2019. Meanwhile, within days of implementing new Cable TV rules, social media has erupted with protests and complaints by cable TV users against the new rules. Majority of users are complaining that the average expenses have increased, and in some cases, their respective operator has failed to upgrade them to the new plans. 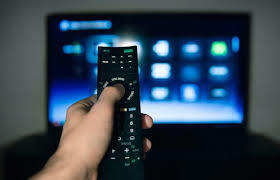 Have you experienced any increase in cable TV expenses, under the new Cable TV rules? Do let me know, by commenting right here. This Is true my monthly expances were 349 but now it has gone up to 598 per month.This is absolutely the policy of govt to give benefit to big businessman. First penalise TRAI with hectic fine of Rs.100 Crore. TRAI is constituted for regulating the DTH service and help public with proper charges. But instead they are helping indirectly to DTH and Cable operators for hiking their prices. Like Modi Govt. it always helps Corporate companies and not the General Public. If it continues, we are going to cut all the cable and we use mobile to view channels in TV by mirror cast. I will pay only to internet. Absolutely. I m totally upset with this new trai rules. Rs 153 itself is a burden , why should I pay 153 for the free channels, when none of the viewers follow free channels. 153 + add one comes around 350. Earlier I watched HD channels of my choice @ rs 274. For the same channels that too in SF, I m paying Rs around Rs 350+. I feel it's a biggest scam of making money. No benefits for consumers from new rules of TRAI.